* Default background during installation is aesthetically unpleasant. * Make sure the image aspect ration is not distorted. Wallpaper is stretched during installation and oem-config with a wide screen monitor. This bug affects ubiquity in precise. We backported UbuntuKylin Raring to Precise and met this issue. The background image of UbuntuKylin has a logo in the shape of round circle. But it is stretched into an oval. How was this qemu instance launched? any special screen resolution parameters? The previous screenshot is incorrect. This one is captured from virtualbox. 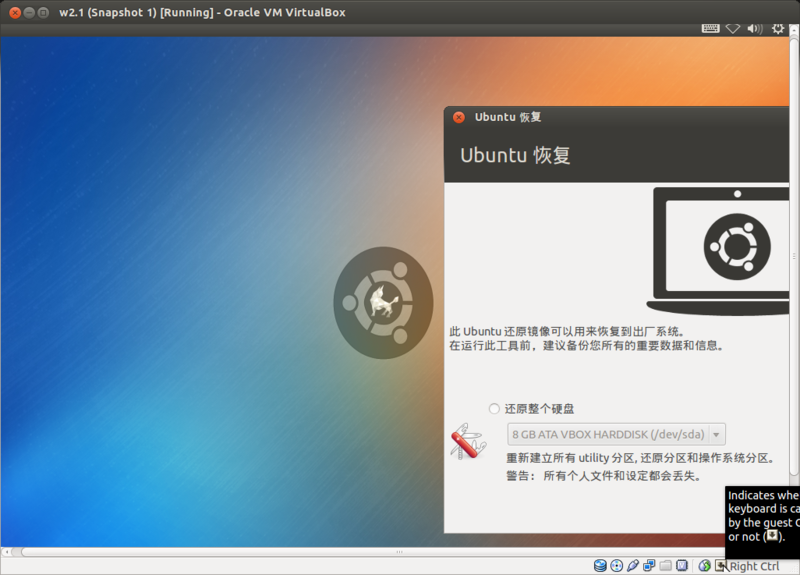 UbuntuKylin logo is stretched vertically. I have pushed the patch to lp:~hzliu123/ubiquity/fix-stretched-wallpaper.lp1207249 and submitted a merge proposal. I see, thanks for that. This is weird, as the wallpaper.c app shouldn't be used to display the wallpaper, instead gnome-settings-daemon should be running and showing the wallpaper (and as far as I understand gnome-settings-daemon is available on the default UbuntuKylin install / in the installer). This bug only happens when wallpaper.c is used to display the wallpaper. wallpaper.c is used to display the wallpaper in Precise, but not in Raring or UbuntuKylin 13.04. I have cropped background and drew perfect square and circle shapes. The background image was zoomed, but the shapes were not distorted, they stayed as perfect square and circle. The verification of the Stable Release Update for ubiquity has completed successfully and the package has now been released to -updates. Subsequently, the Ubuntu Stable Release Updates Team is being unsubscribed and will not receive messages about this bug report. In the event that you encounter a regression using the package from -updates please report a new bug using ubuntu-bug and tag the bug report regression-update so we can easily find any regresssions.